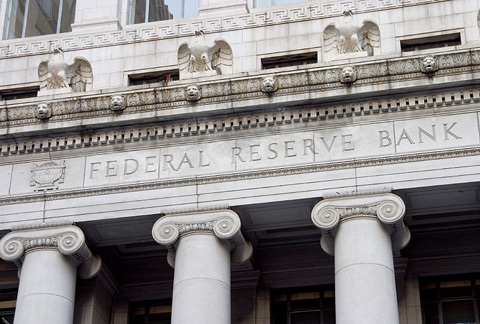 Later this evening the US Federal Reserve is expected to raise its fed funds rate by 25 basis points, taking it up into the 1.25-1.50% band. If done, this will be the third rate hike this year and the fifth since December 2015 when the fed funds rate stood at an all-time record low of 0.00 – 0.25%. A rate rise tonight will also take fed funds to its highest level in over nine years. Yesterday the CME’s FedWatch Tool (which uses the fed funds futures market to measure the likelihood of impending rate changes) calculated an 87% probability of a 25 basis point rate hike. This was down from 98% a few weeks earlier, but still clearly shows that most investors expect the US central bank to tighten monetary policy once again. Last week’s Non-Farm Payroll report helped to boost the prospect of a rate hike. With a reading of 228,000 the headline number came in well above the 198,000 expected. The Unemployment Rate was unchanged from the previous month at 4.1% - matching the lowest reading since December 2001 – and effectively indicating that the US has reached a state of “maximum employment.” This should be something of a red flag for the Federal Open Market Committee (FOMC) as it points to tightness in the labour market. Theory says that the prospect of demands for higher wages should push inflation higher. This has led some analysts to worry that the Fed is “behind the curve” in keeping monetary policy too loose for too long. However, Average Hourly Earnings continue to indicate that there’s no real upward wage pressure in the US. Last week they rose just 0.2% from the month before, undershooting the +0.3% anticipated. In fact, the last update on Core PCE (the Fed’s preferred inflation measure) showed a year-on-year increase of only 1.4% - well below the central bank’s 2% target. This represented a modest improvement from September but is still well below the +1.8% hit back in March this year. Core PCE features prominently in the Fed’s decision process when it comes to monetary policy as maintaining price stability is one part of the Fed’s dual mandate. Crucially, this week’s Fed meeting also brings a quarterly update to the FOMC’s Summary of Economic Projections. The summary includes the committee’s forecasts for unemployment, GDP growth, inflation and the Fed funds rate – the latter expressed visually in the “dot plot”. September’s dot plot suggested that the FOMC anticipated 75 basis points-worth of rate rises throughout 2018. The big question now, and perhaps the key factor in the FOMC’s summary, is if this remains the case. Third quarter US economic growth rose 3.3% from the year before and, as noted earlier, unemployment is at its lowest level since the beginning of this century. Wage growth remains sticky. But there are plenty of analysts who believe the Fed will look past this and look to tighten monetary policy more aggressively next year than previously forecast. Consequently, there has been speculation that the FOMC may lean towards 100 basis points-worth of rate hikes next year. If so, then we should see the dollar strengthen – at least in the short-term. Conversely, if the FOMC sticks with last quarter’s preference for three 25 basis point rate hikes in 2018, then, other factors being equal, we shouldn’t be surprised to see the dollar pull back a touch from current levels.